Car and foot passenger ferry ‘Dubrovnik’ is owned by Jadrolinija ferry company, Rijeka from 1996. Built in Ireland in 1979 the ferry is just over 122 meters long and 19 meters wide with speed of 20 knots. It has a capacity of 1300 passengers and 300 cars. There are also two restaurants, cafe, bar, small shop, chapel, TV lounge and children’s playroom. 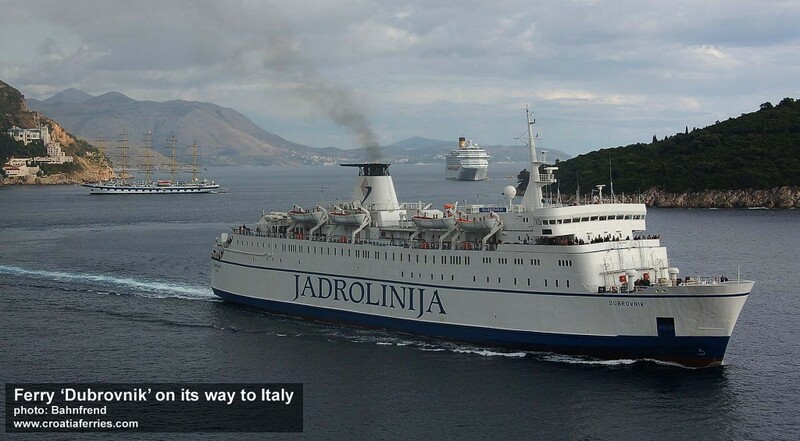 Named after beautiful Dubrovnik town, it also has 148 cabins with 457 beds and 384 reclining seats. 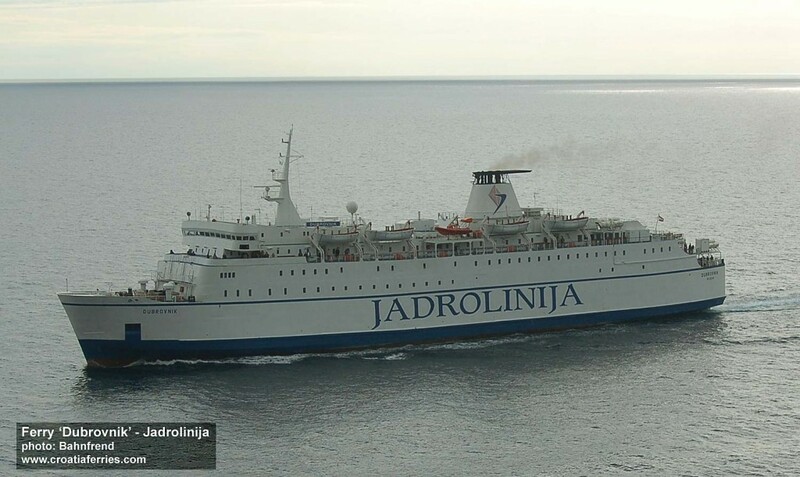 Currently serving Jadrolinija‘s ferry route 54 connecting ferry port Bari with Dubrovnik.